We are looking for an individual motivated by travel, people and dynamic small business environment. The ideal candidate will possess hands-on knowledge of the travel industry in North America, outgoing personality as well as strong communication skills in English. The successful candidate will report directly to the owner and will work with the Canada and Italy team to ensure consistent deliveries and prompt responses to guests’ inquiries. If you love working with people in a fast-paced environment, get in touch with us immediately. Create, improve and maintain accurate tour and destination details to help better sell, inform and improve the customer experience. Connect with our travellers and agency partners; recommending and selling them the right trips based on their unique needs. Based on the inputs from our tour designers, create new tours in the system, with all its components and content, including initial brochure content and trip details. Work with our web designer to provide online content. Perform web audits of tour content and quality/consistency check. Design and implement PDF brochures and PDF catalogues. Writing, updating, proofing content. Design and implement marketing and PR actions. Solicit and grow current and new business by attending trade shows and meetings and making sales calls or emails. Consistently generate leads and sales, which will be measured monthly. 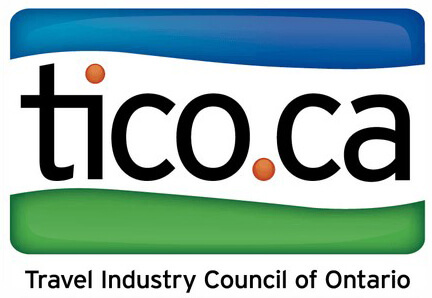 Strong knowledge of the travel industry applied to group tours, FIT, as well as to Canadian and US travel styles. Excellent written skills English to be applied to tour/itinerary writing. Strong proficiency with Microsoft Office software including Word, Excel, Powerpoint, or any graphic package. Sales experience, PR skills (from first approach to follow up). Available to travel within Canada and US. Creativity, initiative, sparkling personality, passion for travel.